The institute is spread over 6 acres of land in a lushgreen campus in the posh and modern locality of Mansarovar, Jaipur. It includes class rooms, computer center, conference hall, library, auditorium, various laboratories/workshops and administration block, with lush green lawns around. The institute has evolved a unique system of skills enhancement program. The aspiring managers/technocrats conduct various activities throughout the academic year in order to develop their leadership skills, values of cohesiveness, decision making ability, increasing knowledge base and value of good human being. Placements: MAIET provides the opportunity of interaction between the students and the representatives of Industry to facilitate placement in suitable jobs for all those who pass out from MAIET. 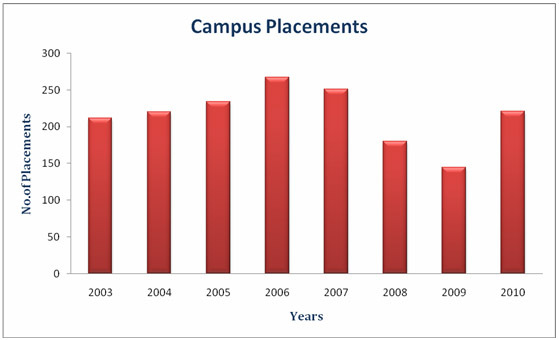 Campus interview facilities are arranged by the Institute. During the course, students will be exposed to top executives of private and public sector companies. MAIET also acts as a platform to have dialogue between representatives of the government/ financial agencies/enterprises and the students. Many multinational and private sector organizations are visiting our campus in search of talented future managers. Campus: The institute is spread over 6 acres of land in a lushgreen campus in the posh and modern locality of Mansarovar, Jaipur. It includes class rooms, computer center, conference hall, library, auditorium, various laboratories/workshops and administration block, with lush green lawns around. The institute has evolved a unique system of skills enhancement program. The aspiring managers/technocrats conduct various activities throughout the academic year in order to develop their leadership skills, values of cohesiveness, decision making ability, increasing knowledge base and value of good human being. Central library: The Institute has a computerized central library with spacious reading hall for the students, having a collection of more than 50,000 books and reference books. MAIET Library enjoys membership of DELNET(Digital Network Library) and subscribes to three online E-Resources like IEL, ASME, & DEL which helps students to access umpteen numbers of journals in various descipline of science, engineering, pharmacy & management. There is a wide variety of magazines & journals on different subjects of engineering, environment & current issues as well. Book bank helps needy students. There are about 600 project reports & 300 educational CD’s available in the Library. Being a member of DELNET (Digital Network Library), We have an access to 400 international research journals. Besides this we regularly subscribe about 40 journals and 30 scientific magazines related to the various engineering branches along with other magazines of general reading. Institute’s library also offer a Book-Bank scheme for the needy students. There are about 500 project reports and 300 educational CD’s available in the library. Hostel: The institute has separate hostels for boys and girls. The mess is running in the campus itself. Facilities for indoor games are also available. Hostel is, however, available to a limited number of students, on first come first served basis.